Sometimes the article we write on our blogs needs to back up by quotes and we mostly placed them in quotation marks which is obviously the most common way of displaying equations in blogger blogs. Mostly the people which are running tech blogs or inspirational blogs used quotation on daily basis. Quotations we as blogger use in our blogs normally includes press release, some authorities has said some things on their product release or regarding an update of products or service. 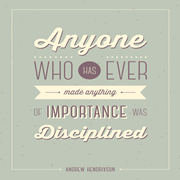 Quotes are a highlight point of your blog post which needs to be presented in a better way to grab reader attention. So today we will show you how to add a animated quote to blogger blog. There could be various reasons for which a blogger would like to make his/ her blog private or give access to specific people. Some are coming into my mind which I am sharing with you is we create widgets for our blogs or to share with other people through our blogs and we normally create a separate blog for testing purpose. These cases of blogs are to be meant for public users they are for developers or webmasters of that blog. So today the topic which I am covering on my blog is make your blogger blog private or give access to specific users. Comments are always seen as an important factor in the success of your blog. Users normally comments on your blog to appreciate author of that post, or to ask questions. One way to judge the popularity of the post is to see the number of comments post has received and for that you need to put comment counter on your blogger blog. In this article I will be explaining you how to add beautiful bubble comment counter to blogger blog. Are you running a blogger blog and want to receive comments notifications when some when comment on your blogger blog then you have chosen a correct article to learn. Here we are giving a solution for it in this article we will tell step by step procedure to receive comment notifications via email in blogger. Sign inn to your blogger dashboard. If you have multiple blogger blogs in your account select the one on you would like to enable comment notifications. Once you have selected blog, go to Settings >> Mobile and email. Then go to Comment Notification email text box and enter emails address on which you would like to receive comment notifications. You can enter up to ten email address in this text-box separated by commas (,). After you have entered your email in this text box press save settings button to complete the process. 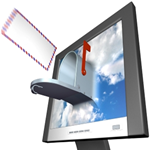 Now any one will comment on your posts you will receive comment notifications in your entered email. If you have set Gmail address in comment notification section, you will receive comments in the social section of your Gmail account. I hope now through this article you have learned how to receive comment notifications via email in blogger. Check our post on disabling comment from blogger blog if you want to remove comments from your blogs. Do write to us in comments section about these articles. Malware is a malicious piece of code that messes up with the functionalities of your website or blogs and once it gained access to them they can collect sensitive information from your websites. When we add third-party widgets or plugins to our blogs we don’t know about what sort of scripts are placed in there or when we go for a free template for our blogs then also we don’t know what’s placed in there. As prevention, we can check our blog for malware after applying templates or widgets to make sure our blogs are free from malware. 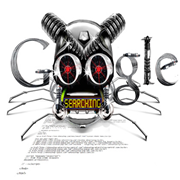 In this article we will tell you free online tools to check your blog for malware scripts. Today my post is about disabling image Lightbox in blogger blogs and if you are wondering what is this lightbox. Here is an answer for you when we click on post images on our blogger blogs we see images pop out and the page behind fades out in light black color. Lightbox is enabled by default in all blogger blogs, however some bloggers don’t feel like having this lightbox for them I am writing this article. 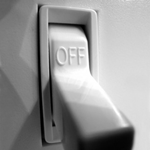 In this article I will show you how to turn off image lightbox in blogger blogs. Branding your blog is a good thing and we as bloggers don’t really concentrate on it. One small way to brand your blog is adding a personalized Favicon to your blogger blogs. Those who don’t know what a favicon is? The favicon is a 16 x 16 pixel image which is placed on tabs and address bar of web browsers. By adding favicon you can have lots of advantage, one is that you are branding your blog, when some user bookmarked your blog favicon will be there as a label and in browser history it is there too. So today I am going to teach you how to add favicon to your blogger blog. According to SEO perspective blog page title or post title is the most important factor. Post titles play major role in ranking your blog post higher in search engines. Blogger templates which are not SEO optimized by default have a blog title before their post or page title which can harm your blogger SEO. In this article we will teach you how to rank higher in search results by optimizing blog post title. SEO abbreviation of search engine optimization plays a critical role in driving traffic to your blogs or site that's why most of the bloggers and webmasters always try to improve SEO of their blogs. Optimizing images before uploading them to blogger blog can also play an important role in improving the SEO of your blog and most of the bloggers do not pay attention towards optimizing images. We as bloggers when download images they are saved as irrelevant names such as untitile.png, do you know that the Google image search is the widely used image search engine users always use it for finding quality images, icons and photos. You can drive a large no of audience to your blog by optimizing images and we are here to serve you. In this article we will describe you how to increase blog traffic by optimizing images. A successful blogger always looks for different ways to generate organic traffic for its blog. By organic traffic I mean visitors are coming to your blog from search engines such as Google. 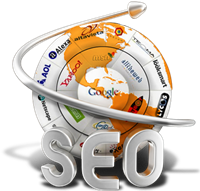 To make your blog visible in Google search engine you have to submit your blog sitemap to Google Webmaster tools. 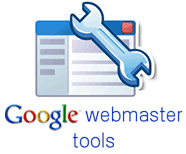 Before you submit your blog to Google webmaster your blog must be added to Google webmaster tools. For details you can check our article on How to add blogger blog to Google webmaster Tools. In this article I will be explaining you how to submit blogger blog sitemap to Google webmaster tools. Google webmaster tools is a free web service provided by Google, this service is basically built for webmasters and website owners. There are lots of things we can achieve using Google webmaster tool such as access search statics, check blog crawl status, your blog index stats etc.. To access webmaster tools we have to submit our blogs to Google webmaster and today I am telling you how to Add your blogger blog to Google webmaster tools. Bloggers always wants their blogs to look a top notch infect not only bloggers any website owner will like his website to look stunning and different from others. 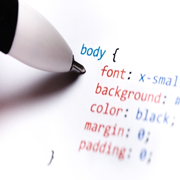 Not much of bloggers and webmasters know how to code or customized their blogger blogs. We as bloggers normally search for a better looking template on the internet and when found simply apply to our blogs but where the uniqueness go. We usually neglect it and those who want to customize their blogs they don’t recognize the tricks. In this tutorial I will be guiding you how to customize your blogger blog using Stylebot which is a Google chrome extension.